A genuine John Deere #GY20146 Idler Arm. For BMC 1.5 Diesel Engines. BMC Newage Tempest & Captain. 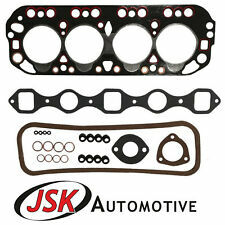 Head Gasket Set. Used in Marine Applications Used in Tractors Used in Cars Nuffield 4/25 & 154. Replaces Massey Ferguson OEM nos 181623M1, 181623M91, 18632M91, 186830M91, 1868330M91. Fits Massey Ferguson Tractor(s) TE20, TEA20, TO20, TO30, TO35 (s/n 204182-later), 35. Fits Massey Ferguson Construction & Industrial(s) 202 (s/n 306493-later). A genuine John Deere #AM135650 Handle. 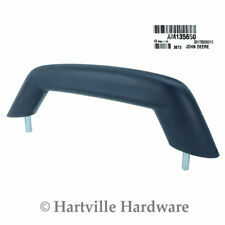 Genuine John Deere OEM Handle #AM135650. A John Deere #AM123716. 12 volt rated. Only for vehicles with B Series 4 Cylinder Engine 4B, 4BT or 4BTA. Genuine Cummins Water Pump 6B 6BT 6BTA 4B 4BT 4BTA Iveco JCB Case IH DAF Ford. 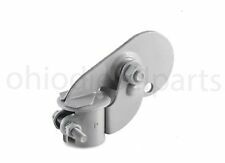 Genuine Cummins Belt Tensioner & Pulley 6BT 6BTA ISB 4BT 4BTA Iveco Ford JCB. Fits: Massey Ferguson 590 tractors. DECAL SET. Replaces original part number: 1698130M1. Manufacturer part numbers are for reference purposes only. Gear selection / PTO selection decal. Manufacturer part numbers are for reference purposes only. All parts are high quality non genuine parts unless otherwise stated. Replaces original part no: n.
A genuine John Deere #TCU23581 Mower Deck Shield. You may also be interested in. A John Deere #AM35307 Idler. Genuine John Deere OEM Idler #AM35307. Part Number 14M7332 (Lot of 5). A John Deere #GX20494 Torsion Spring. 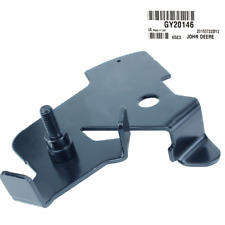 The John Deere logo is displayed as a placeholder until we are able to provide a quality image of the actual part. Our John Deere Parts Technicians are here to help make sure that you get the right parts for your application. Fits Model : YM1702 YM1720 YMG1800 YM1802 YM1820. REGULATOR FOR YANMAR. 12v, 14.7 volt setting, (6) connector w/pins. 100% Money Back. A genuine John Deere #AM126129 Sheave / Pulley. Installs easily without any modifications. Sold as a set only. A genuine John Deere #M115429 Cover. Genuine John Deere OEM Cover #M115429. A genuine John Deere #GY22289 Mower Deck Lift Cable. For tractors, combines, industrial and other equipment requiring operator sunshade protection. Umbrella covers are available in canvas. Complete umbrella consists of cover, bracket and frame. Metal parts are zinc-coated for long-lasting, maintenance-free service. Shafts constructed of 1 1/4" heavy duty steel tubing. Rigid framework for cover, withstands farm and industrial use. Universal mounting bracket adapts to all types of equipment. Color: Red. A genuine John Deere #AM39886 Mower Deck Roller. Genuine John Deere OEM Roller #AM39886. You may also be interested in. A genuine John Deere #MIU10948 Brake Shoe Friction Puck. For Perkins Engines Heater Glow Plugs 4pc. Fitting Depth 22mm. Total Length 84mm. Thread Size M10 x 1.25mm. 3135X042 CYLINDER LINER Fits Perkins 4.40 4.40T 6.60 6.60T Cat 6I0164 / 100mm bore. Engine Family AA AB AC AD AG AH YA YB YC YD. For Cummins C Series 8.3L Diesel Engines. Set of 12 Exhaust Manifold Bolts. New Holland VW Models 65mm Length not including cap. 74.4mm Length including cap. 5150, 6350, 6340, 9240. Massey Ferguson. OUTER AIR FILTER FOR KUBOTA. Replace OEM Part # : 6C060-99410, K7311-82390, 6A100-82630, GA100-82630. Kumar Bros USA. is in no way affiliated with any OEM manufacturers. All OEM part numbers and logos are used for identification purposes only. Replaces OEM No. 3704180M91, 3704180M92. Fits Iseki Tractors HL1900, HL2400, HL2500, TA230, TA250, TA270, TA270F, TA275F, TL1900, TL1901, TL2100, TL2101, TL2300, TL2301, TL2500, TL2501, TL2700, TL2701, TU180, TU200, TU220, TU240. Includes (1) wheel only (no hardware). A genuine John Deere #M44810 Extension Spring. Ford / New Holland 310938, 310939. Ford / New Holland 2000, 2000 US Built, 601, 701. 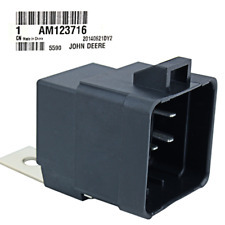 A genuine John Deere #AM117324 Headlight Switch. Z645, Z655. A genuine John Deere #M88185 Extension Spring. Genuine John Deere AM141034 Bagging Blade Kit. A genuine John Deere Bagging Blade Kit for 100, LA, LT, SST, Select, and EZtrak Series with 42" Decks. John Deere lawn mower blades are manufactured with a combination of carbon and boron to provide hardness for a long life and sharp edge without breakage. These are a set of 4 new brakes for Yanmar 180 186 187 1110 1510 #198223-36510 old#194440-36530 or 194300-36500. NEW RSA-10 Harvester Rim Sprocket. Condition is New. Shipped with USPS Priority Mail. A genuine John Deere #M112505 Extension Spring.